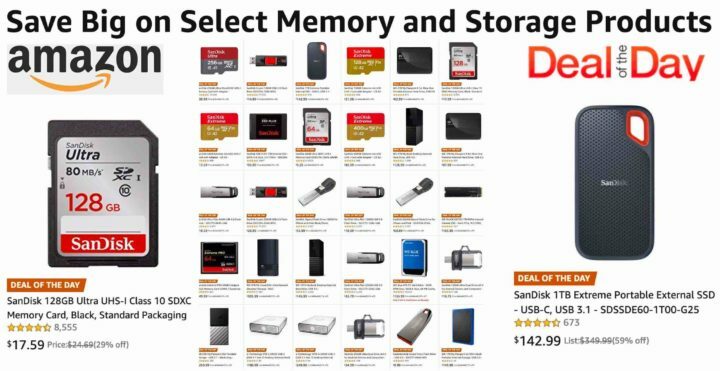 AmazonUS has a deal of day running on SanDisk and WesternDigital storage media. Check out the full list of deals here. If you go at the BHphoto Deals of the Day instead, the deals include a SmallHD 702 Bright On-Camera Monitor.